Boise Idaho Real Estate sees a ‘Come Back’! 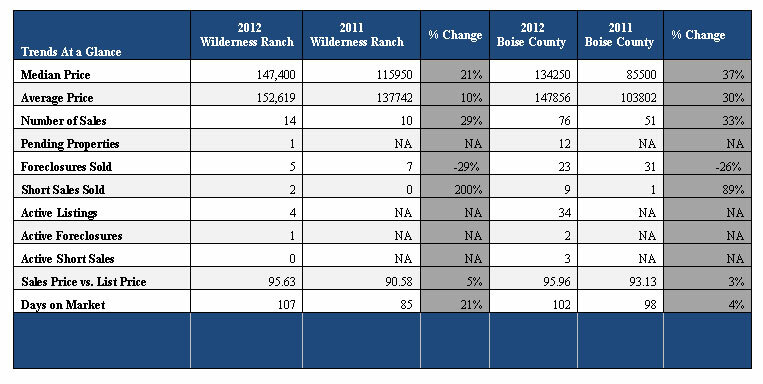 The Boise area housing market has seen a significant turn around in 2012. 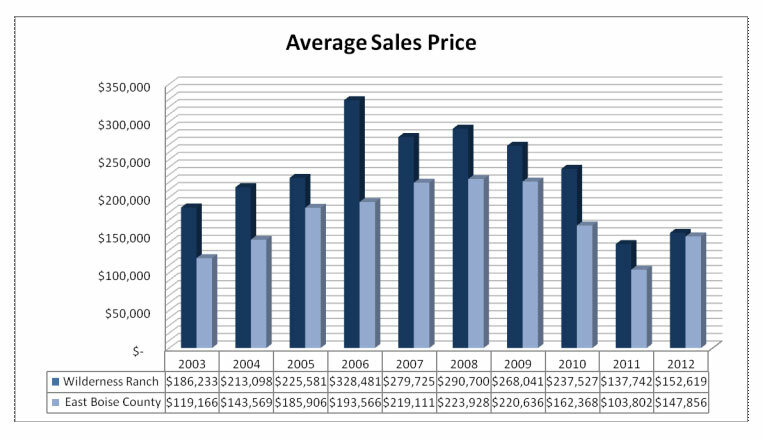 Homes values have seen some correction and sales/absorption rates have increased dramatically. Boise also benefits from being an influx state where many people relocate from other states. Why? .. For quality of life. Idaho boasts more public lands than any US state outside of Alaska. If you flattened Idaho out it would be larger than the state of Texas. If you are looking for that quality of life change than we recommend you should investigate Idaho for yourself. The Core Logic Index Rate has ranked Boise as the #1 spot for a real estate turn around in the US> The median home price in the Greater Boise area is very affordable compared to most metropolitan areas that offer similar amenities. There are many quality homes to be found in the Treasure Valley area of Boise between the 100k – 200k range, offering 3 bedrooms 2+ baths and often even three car garages. You can investigate Boise area homes by clicking here. You can learn more about the Treasure Valley area of Boise Idaho by visiting http://www.cityofboise.org/ Come experience the difference. Forbes has Boise No. 2 on its “Best Cities For Raising A Family” list. Many ask what makes Boise Idaho so special. Of all the places in the world, it isnt that we are the most beautiful, or the safest there is in the world, or the cheapest economy, or the best real estate prices, best schools, etc….. However if you want a beautiful mountainous home, safe environment, reasonable priced place to live, well priced real estate, along with good ranked education, then Boise has a great portion of so many things, that when put together ‘it’s hard to beat’. See why for yourself! Idaho Statesman reports about the recent real estate frenzy we are feeling in the Boise Treasure Valley area. The Boise market has really been heating up. An article written by the Statesman “Shortage of homes for sale creates fierce competition” describes the current conditions we also are experiencing here. Their article refers to the L.A. area but mirrors the same frustrations many buyers are having here in Idaho. We are experiencing an all time low of viable home listings, so the law of supply and demand takes affect. Boise is an influx city with predictions of continued growth through 2020. Many people are still migrating here, a high number of which are either newly retired, about to retire in the next year or two and/or semi retired and buying now. The upside to this is the strong capital they bring to the market as they generally either buy out right or borrow very little on a mortgage. This in turn helps create a solid foundation in the market. Boise also offers a lot of amenities for families. I have dealt with many that have relocated here specifically because the environment fosters a great atmosphere to raise their children. Cost of living is reasonable and very moderate compared to most other cities with a major airport. Boise offers a mix of values and services that appeals to everyone but still maintains that small town politeness. Boise is the only place I ever lived where I look forward to coming home from vacation. Please let me know how you feel about Boise life and what are your predictions. I look forward to viewing your opinion. Boise Idaho – What’s The Hype About? Idaho is a beautiful state filled with mountains and lakes. The capital city of Idaho is Boise and the state is landlocked; it is surrounded by Monatana, Wyoming, Nevada, Oregon, British Colombia and Utah. The state has a population of approximately 1.5 million people. For families considering moving to Idaho, here are some practical facts that you`ll need to know. The cost of living in Idaho is one of the lowest in all of the western states. This is based on groceries, transport, health care, average cost of housing, utilities as well as other services. Idaho has an extremely low crime rate, which is great news for families who are thinking about moving there; according to statistics from the FBI, this state has the lowest crime rate in the west of the country. The rate of crime which is serious is more than a fifth less than the national rate. In terms of education, Idaho is one of the top states in the country for adults who are aged 25 and over that have received their high school diploma. Almost three fifths of the general fund of the state is used for educational purposes and the majority of children who are of school age go to public schools. Nearly every city in Idaho which has a population of more than 20,000 people has a university or a college as well as technical training centers which teach vocational work. Idaho is an environmentally friendly state; due to its mountainous location, the water which flows from these higher regions is of good quality. Air quality is also of a high standard, bar during certain months when the pollen count is higher. Housing in Idaho is very affordable and moderate; there is a wide range of choice available, from luxury estates to simple cottages, depending on your family`s budget. The economy in Idaho is diversified and strong. Some of the main industries include agriculture and manufacturing but retail, tourism, tech work, information services, business and health care are also sectors which are growing quite rapidly. There are plenty of employment agencies to help people with finding work all across the state. In terms of energy supply, the state of Idaho has a distinct advantage over the rest of the country. Rates for residential electricity and natural gas are highly competitive and are some of the cheapest to be found. If you and/or your family are thinking about moving to Idaho, consider the advantages and ensure that you plan your move well in advance. Hiring a moving company can take alot of the stress out of relocating, as alot of the hard work is done for you.